Aloe Vera is one of nature’s key healers. This succulent plant heals pain, detoxifies the body, promotes hair growth, and even helps cure acne. It is best that you purchase the actual plant, and not the bottled product. When using the leaf, you can cut it open and extract the gel with your fingers. Creative ways to use the Aloe Vera gel includes applying it as a facemask, a hair mask, and even an edge control. Virgin Coconut Oil is not only an edible oil, but it does wonders for the skin. This anti-aging oil contains vitamin E and will keep your skin radiant and moisturized at all times. It can also be used as a lotion, a shaving cream, and can even be applied to your scalp, eyebrows, and eye lashes to promote hair growth. Try using virgin coconut oil everyday, and watch your skin transform into soft radiance instantly. 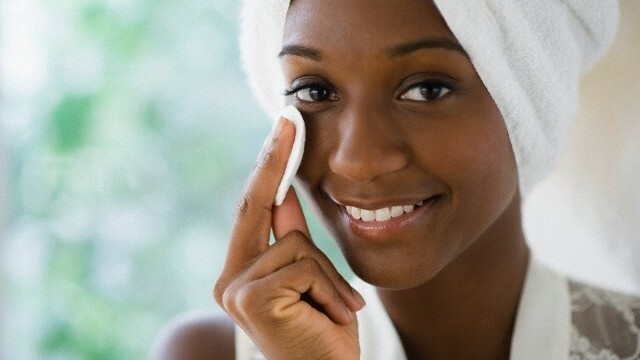 Exfoliation is crucial, and should be done at least four times a week, especially during the winter months. Simply take your own face wash, apply it to the sponge, rinse your face with warm water, and scrub your face in gentle, circular motions. Exfoliation rids the skin of ashy flakes and buildup from breakouts. Be careful not to exfoliate too much – it can lower your skin’s protective barrier against bacteria and infections. Exfoliating sponges can be purchased from the drug store for less than $5. Applying a facemask is one of the easiest ways to repair your skin instantly. Whether you are trying to get your skin right for that Valentine’s date, or just want your skin its best on a normal occasion, using a facemask will benefit anyone. The key to being saved by a facemask, is buying the correct mask for your skin type. One of the best places to get one is from Lush Cosmetics. At Lush, they will ask you what your skin type is and test their various, all-natural masks on your skin. You will leave Lush satisfied, wanting to come back for more. The best part about the Lush mask experience is that if you bring back five empty mask containers, you will receive a sixth mask for free. African Black Soap promotes nourishment with every application. This carefully crafted soap is known to improve skin tones, fade discolorations, reduce inflammation, and rid razor bumps. The best way to use the African Black Soap is in the shower, on the body and face. It has deep cleansing actions, which can cleanse your pores and completely remove makeup. You can purchase Shea Moisture Black Soap from Target. If you want natural, handcrafted black soap, you can purchase it online, at the health food store or at a local flea market.